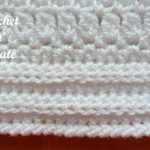 Free Crochet Pattern Pram-Crib Cover UK – Ideal as a light cover in a cot, pram or crib, make for your own baby or give as a gift for the little one of your family and friends. 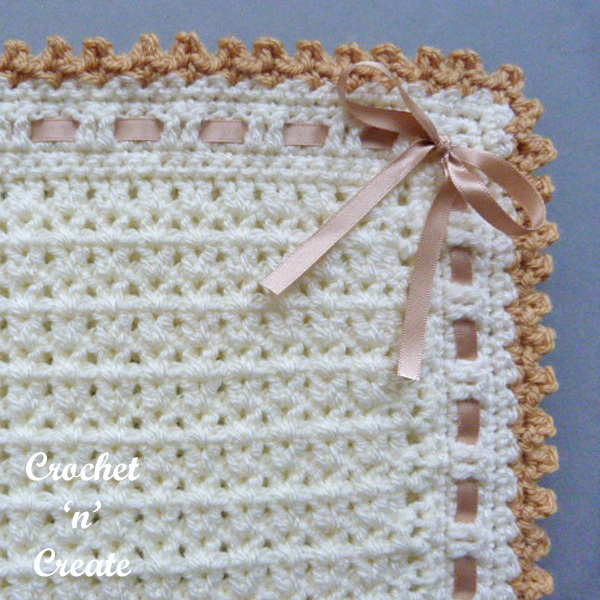 A fun to make blanket pattern that works up really quickly and looks beautiful when finished, this simple and easy cover is edged with a picot border in a contrast color. 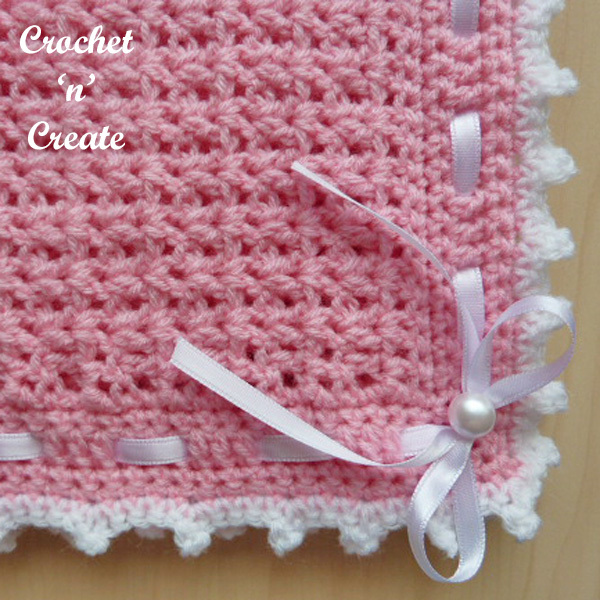 See more free baby crochet blanket patterns. 2nd Row – 3ch, 1tr into first tr, miss 1tr * work 2tr into the space between next 2tr, miss 2tr * rpt from * to * to last tr and 3tch, 1tr into single tr, 1tr into top of 3ch. Turn. 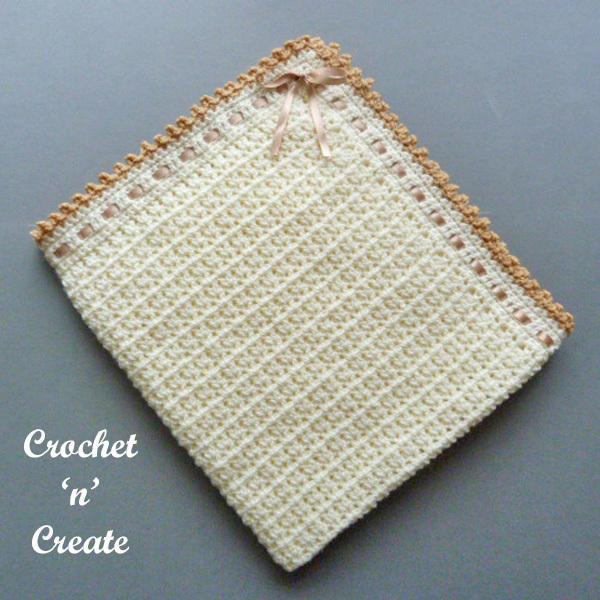 Rpt 2nd Row until 60 rows have been worked in all from beginning. Turn. Border – 1ch, 1dc into base of 1ch, 1dc into each tr to last 3tch, 3dc into top of 3ch, work 90dc evenly into row ends down first side of blanket, 3dc into corner, 1dc into each ch along starting chain edge, 3dc into corner, work 90dc evenly into row ends up second side of blanket, dc into corner, ss to first dc on the beginning of the row. Turn. Starting with 1ch, 1dc into base of 1ch, work one more row of 1dc into each of the dc around all four sides of blanket working 3dc into the corners, work 1dc into base of 1ch on last corner, ss to first dc on the beginning of the row. Turn. Third Row – 3ch, 1tr into base of 3ch, work 1tr into each dc around all sides of blanket to end, working 3tr into the corners, work 1tr into base of 3ch on last corner, ss to top of 3ch on the beginning of row. Turn. Starting with 1ch, 1dc into base of 1ch, work two more rows of 1dc into each st around all four sides of blanket working 3dc into corners, work 1dc into base of 1ch on the last corner, ss to the first dc on the beginning of the row. Turn. 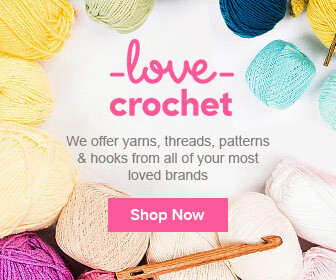 Weave in and trim off any loose ends of yarn, thread contrast colour ribbon through the tr’s on the border and tie in a bow. 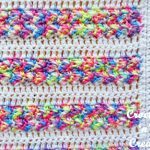 The written instructions and pictures for this free crochet pattern pram-crib cover uk are copyrighted to crochet ‘n’ create © 2018. 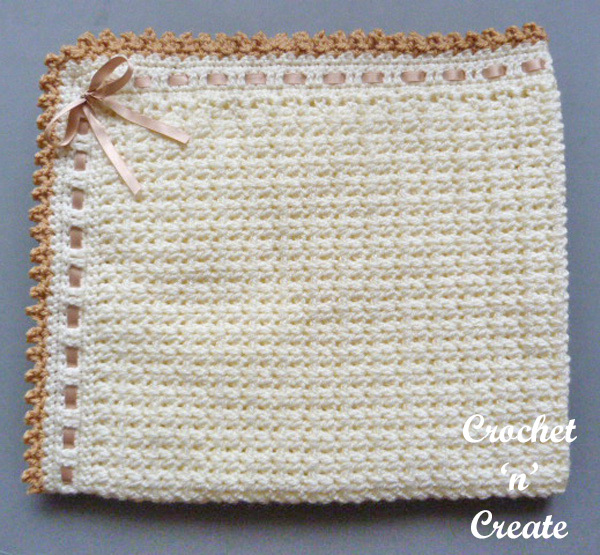 You are welcome to sell the finished products made from the free crochet pattern pram-crib cover uk, I just ask that you please use your own pictures and put a link back to crochet ‘n’ create. 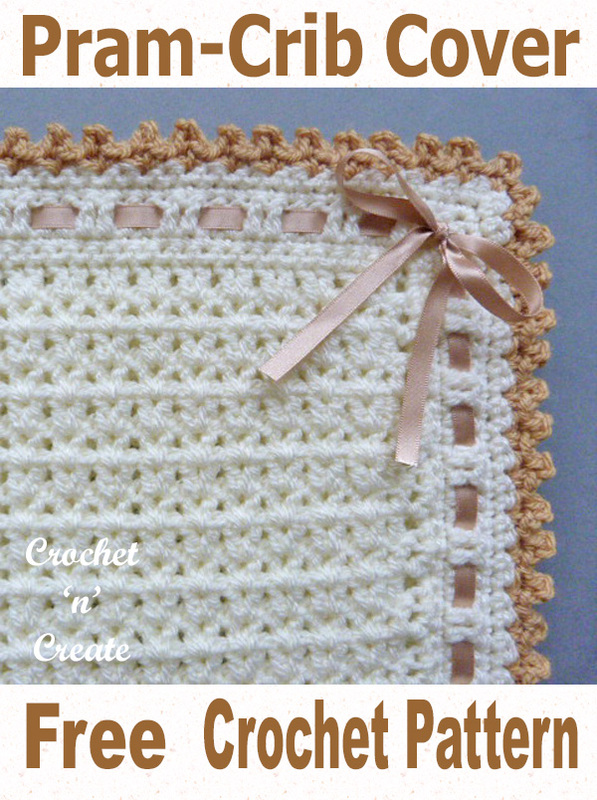 DO NOT share the written instructions for this free crochet pattern pram-crib cover uk. 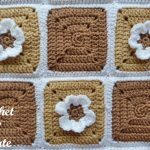 This entry was posted in Baby Blankets, Baby crochet pattern and tagged baby crochet, baby crochet blanket, crochet, crochet crib cover on 5th December 2018 by crochetncreate.